The Windjammers finish an undefeated season with a 3-2 win over Scarborough. 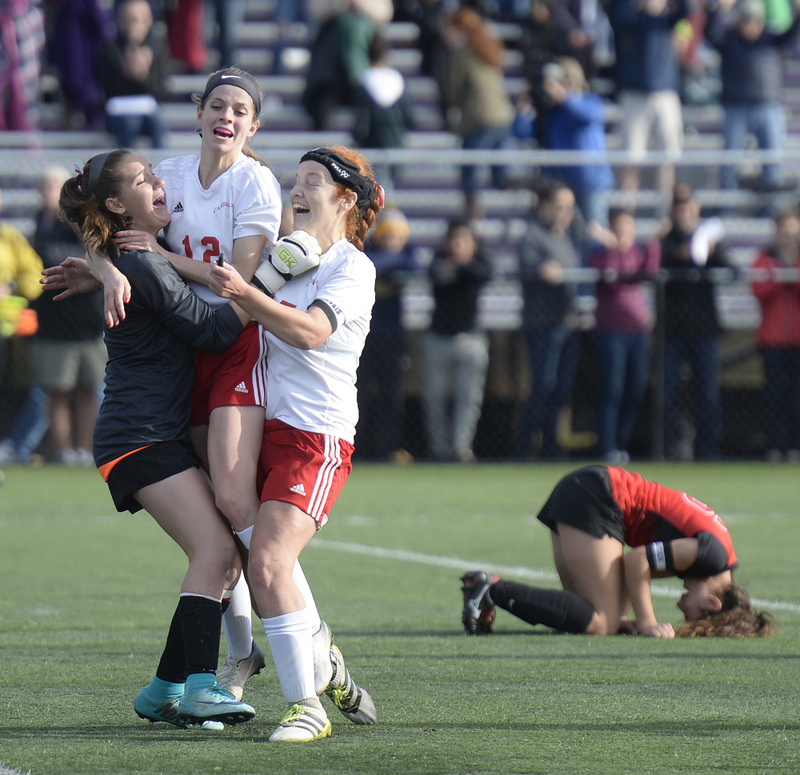 It seems hard to believe that the Camden Hills girls’ soccer team felt like the underdog heading into the Class A state championship game Saturday at Deering High’s Memorial Field. The Windjammers certainly didn’t look the part in the first 51 minutes against Scarborough as they jumped out to a 3-0 lead. 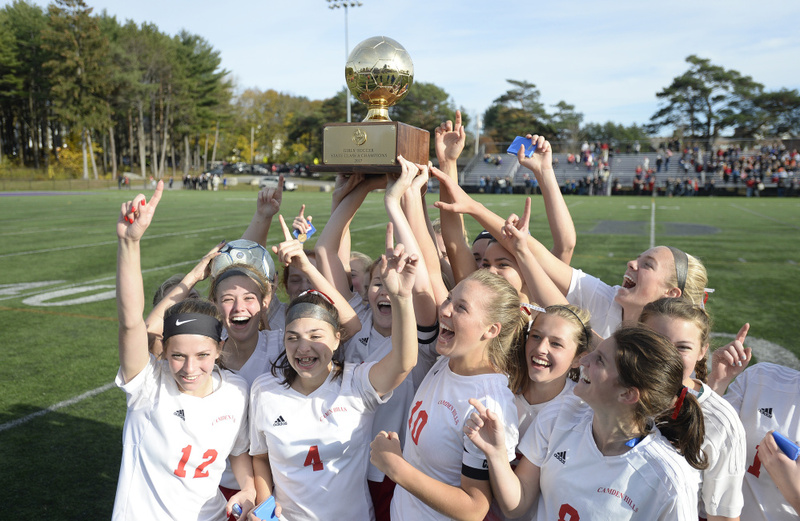 The Red Storm rallied for two goals in the final 20 minutes, but Camden Hills held on for a 3-2 victory and its second straight state title. Both teams entered with 16-0-1 records. 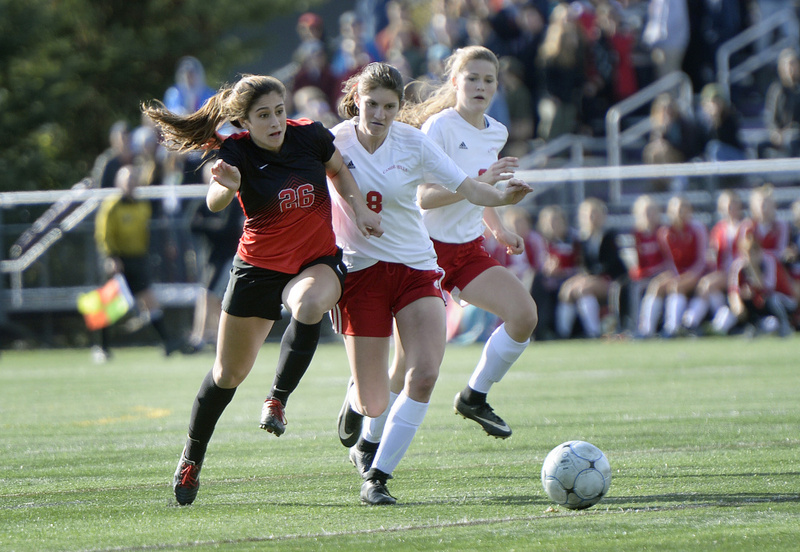 Scarborough had allowed only six goals all season, and never more than one in any game. While the Windjammers rolled into the state final with lopsided victories in the North regional, such as their 11-0 quarterfinal win over Mt. 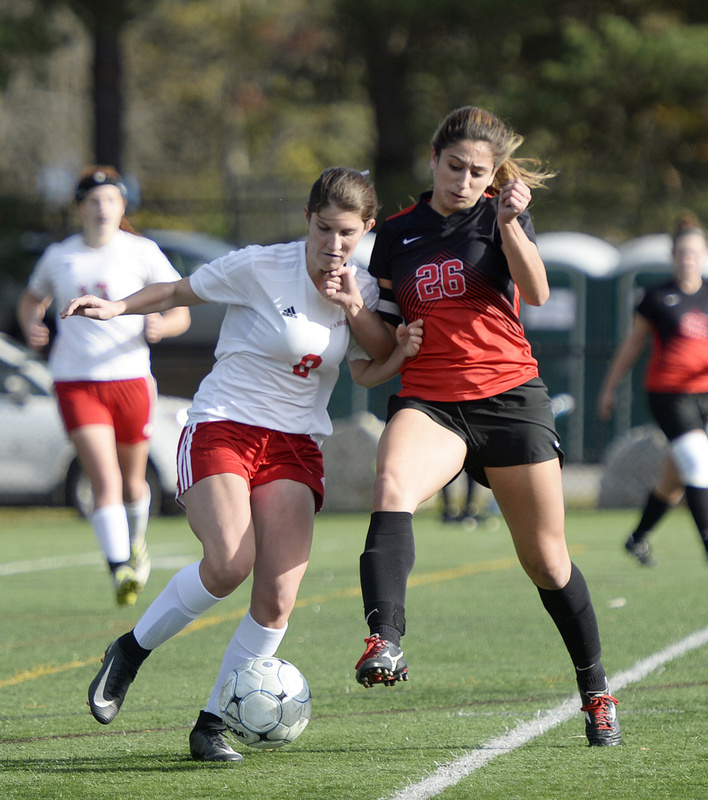 Blue, Scarborough rallied to a 2-1 win over Windham in the South quarterfinals and beat Cheverus 1-0 in the semifinals. 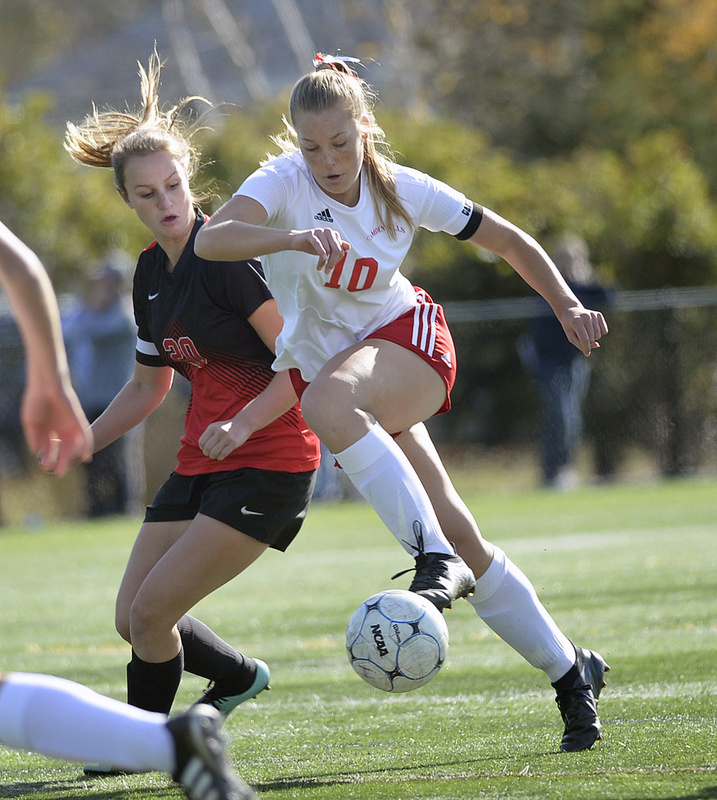 Kassie Krul scored twice against Scarborough to lead the Windjammers. Kristina Kelly added her 39th goal of the season. The Red Storm battled back from the three-goal deficit, getting goals from Gaby Panagakos and Ashley Sabatino to make it 3-2 with 7:02 left. 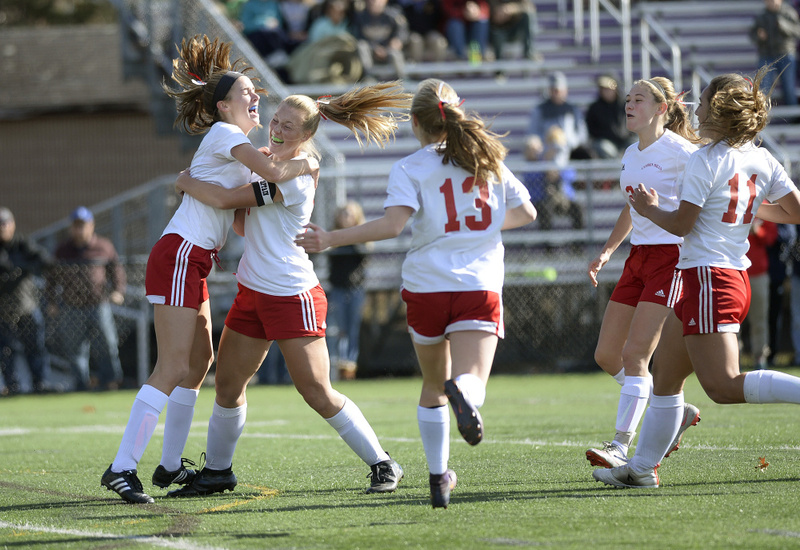 Sabatino’s goal came on a header, with the ball bouncing loose in the Windjammers’ box as keeper Isabelle Lang charged out. 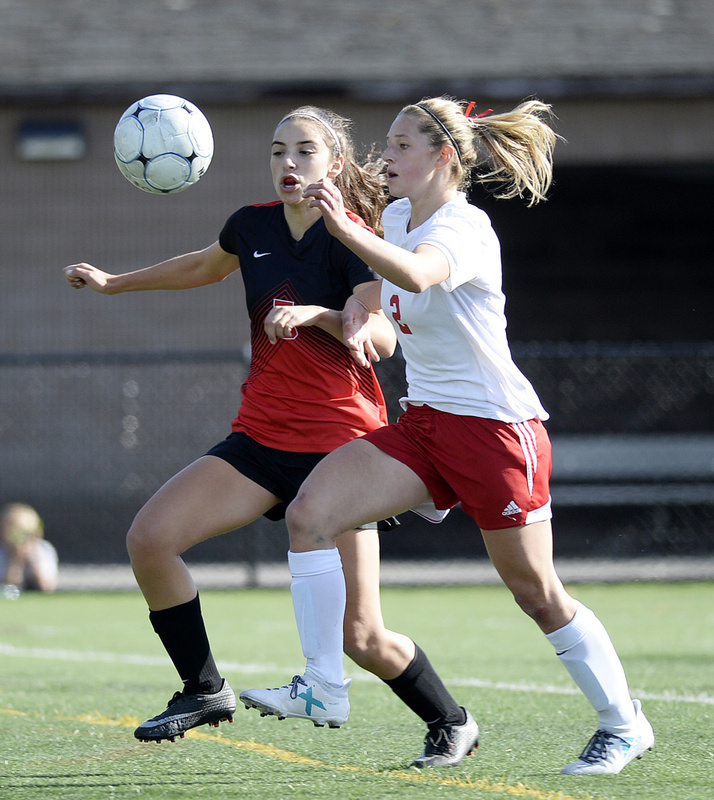 For Camden Hills, which scored 115 goals this season, a 3-0 lead is usually safe. 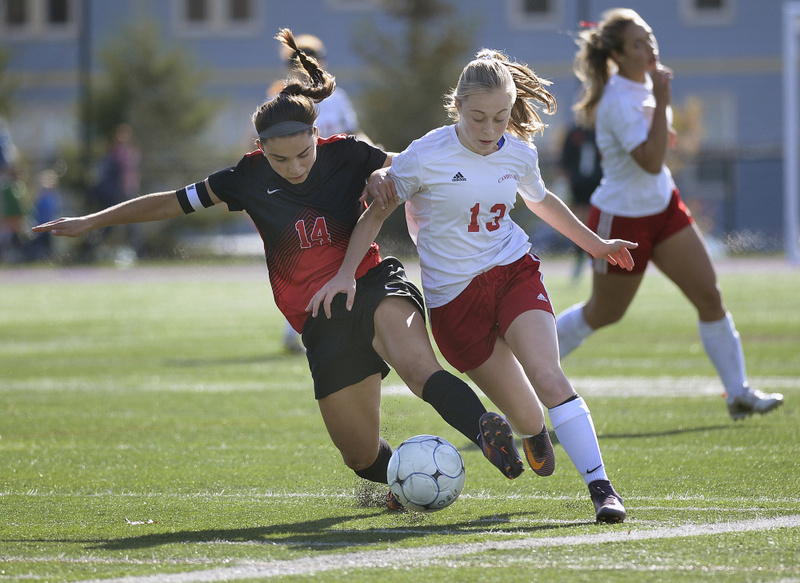 Lang made five saves, and Emily Royce finished with four saves for Scarborough. The Windjammers put three shots on goal in the first eight minutes. Four minutes in, Royce batted a Krul shot over the crossbar. But Krul found the back of the net with 26:13 left in the half after Eliza Roy crossed the ball from the left corner into Scarborough’s box. Krul settled the ball with her knee, then aimed her shot past Royce into the bottom right corner. While the Windjammers kept Scarborough on its heels for the rest of the half, they didn’t get many more chances before halftime. The Red Storm created more chances in the opening six minutes of the second half than they did in the entire first half. Four minutes in, Panagakos fed Molly Murnane at the right post, but the Windjammers’ defense cleared the ball. Two minutes later, Panagakos fired a shot on a breakaway, but Lang made the save. Then Kelly quickly snatched back momentum for Camden Hills, scoring with 34:16 left. Krul made it 3-0 with 29 minutes left on a free kick from roughly 35 yards, tucking the ball just under the crossbar. With 18:59 remaining, Panagakos put the Red Storm on the board, scoring off a rebound. She capitalized on an open net after Lang charged and blocked Leah Dickman’s shot. The ball bounced off Lang, and Panagakos slammed it home.